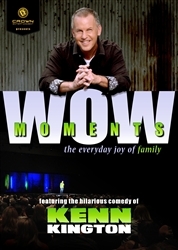 Join veteran comic Kenn Kington as he shares the everyday WOW MOMENTS with family that are a great source of joy – and laughter! Filmed in 2014 at His Hands Church in Woodstock, GA, this excellent new release celebrates the best moments of life at home - the moments that take away you breath and make you say – What?! Wow! 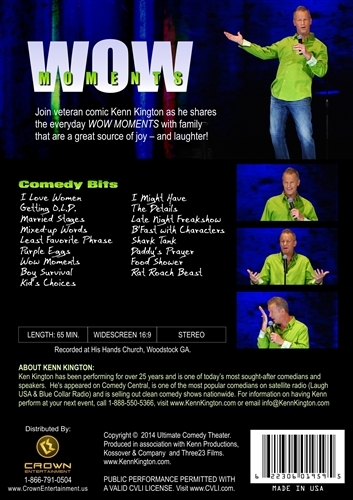 Kenn Kington is one of the most popular, genuine, trusted Christian entertainers around, and currently serves as president of the Christian Comedy Association. He has been performing for over 25 years and has appeared on Comedy Central, is one of the most popular comedians on satellite radio and is selling out clean comedy shows nationwide. As an author, his best selling books on relationships are in their 7th printing. A devoted family man, Kenn and his wife of 18 years, Heather, live in Atlanta, Georgia, where they are raising their three children. 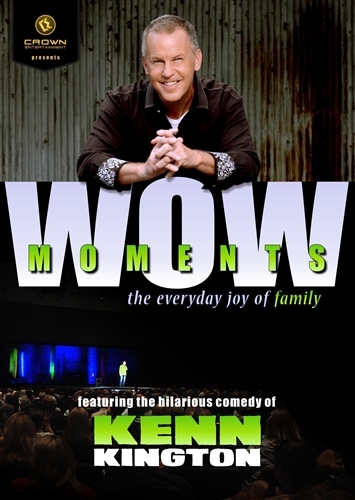 Here is the official trailer for Kenn Kington's terrific new celebration of family -- the WOW Moments comedy concert!